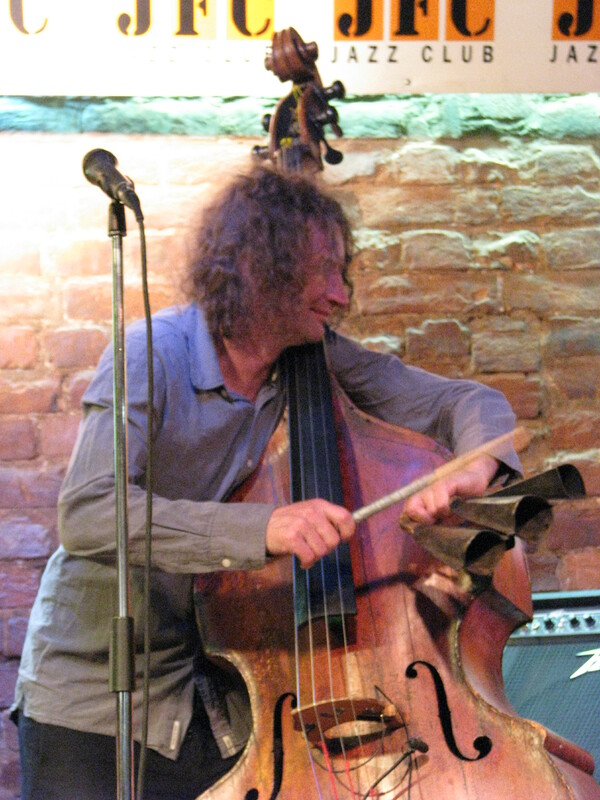 Vladimir Feyertag is a renowned jazz critic and writer based in St. Petersburg. He counts Igor Butman, the world-famous saxophone player, as one of his students, and speaks eloquently and passionately about Russian jazz. 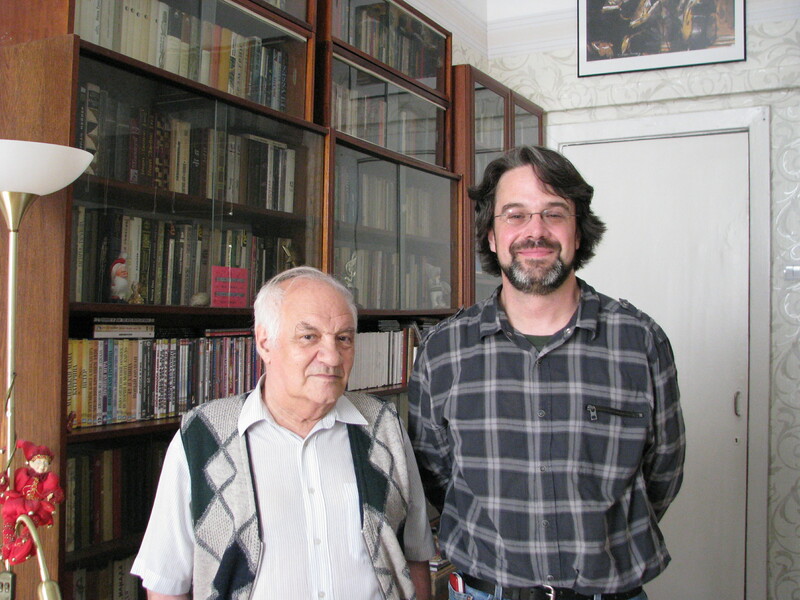 Feyertag is a living lexicon of traditional jazz and jazz players and speaks his mind when it comes to the impact of jazz on Russia and of Russia on jazz. Once again, Willis Conover, the Voice of America DJ, assumes a central place in bringing jazz to Russia. Feyertag does a spot on impersonation of Conover and speaks of how Conover’s voice would crackle out of the shortwave radio. Conover spoke slowly and clearly so that all the jazz-o-philes in Russia could know both the artists and the music. During a visit to America, Feyertag had the opportunity to ask Conover how he organized his jazz program and Conover’s reply was simply “I am a State Department worker.” Talk about Jazz Diplomacy. Feyertag also spoke of the dangers of jazz: if a Russian knew jazz, that Russian could defect out of the country to go and follow jazz. Jazz was a window to the west, and it was a window that captured the eyes and minds of many Russians. Jazz was the sound of America. 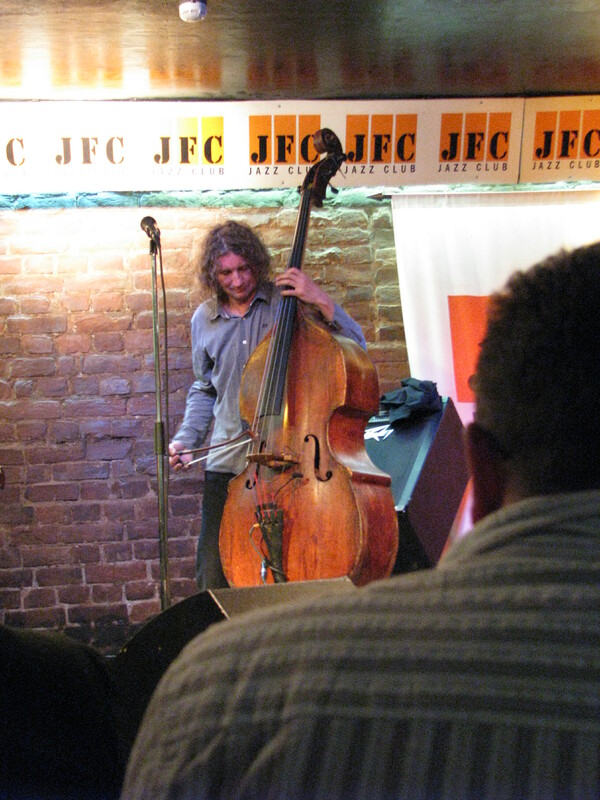 Today, the jazz scene here flourished due to three things: 1) information that lets us choose who we listen to and who we want to be friends with; 2) Open concerts where people can hear other musicians without having to journey underground; and 3) Jazz is now recognized as a musical form by all musicians. Here’s the future of jazz in Russia. 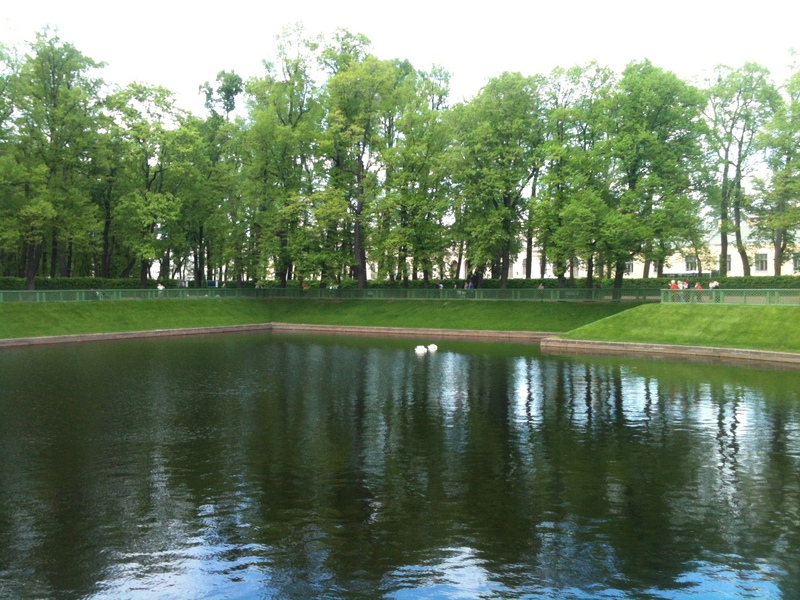 Makbal and I then took a leisurely walk through the summer gardens in St. Petersburg on our way back to the JFC jazz club to hear the Volkov Trio. 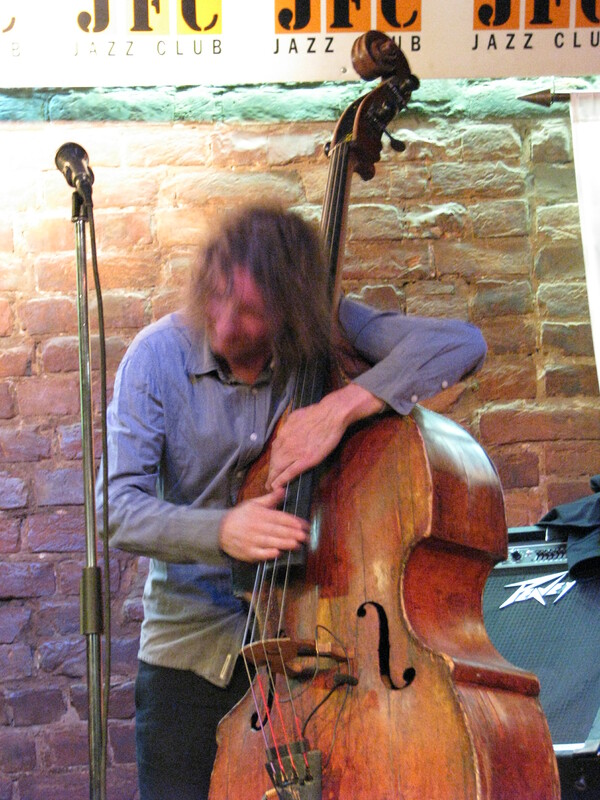 I wish I could explain to you what a miraculous player Vladimir Volkov is on the double bass. He dances with his bass, lifting it, and swinging it. He plays the whole instrument, the body, the pickups, the bridge; and he plays it with his hands, a bow, even a drumstick; all of it creating the sounds of his soul. And when you see his eyes lift to the sky you know that this is a musician who is in touch with something much bigger than himself. One evening with Volkov just isn’t enough…lucky that I’ll get to see him play with Kondokov tonight (and he also plays in the U.S., so keep your eyes out and don’t miss this incredible musician the next time he crosses the Atlantic). There’s lots of videos on Youtube, so check him out!